Today's Organic Mint 67% Dark Chocolate and Mint Crunch bar was from Chocolate and Love Ltd. (Crescent Perth, UK), and was imported by Belgium's Chocolate Source (Milton, MA). 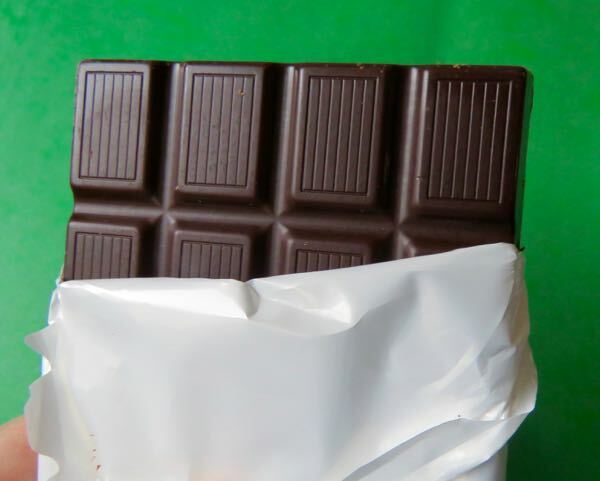 The "crunch" in this smooth, almost creamy, dark chocolate mint crunch bar came from a swarm of uniformly tiny, barely visible peppermint candy bits. Audible, but not visible. Research was surely done to achieve this feat. 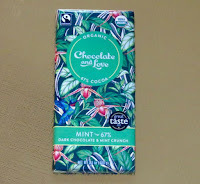 Welcome to Day #4 of Chocolate and Mint Theme Week. 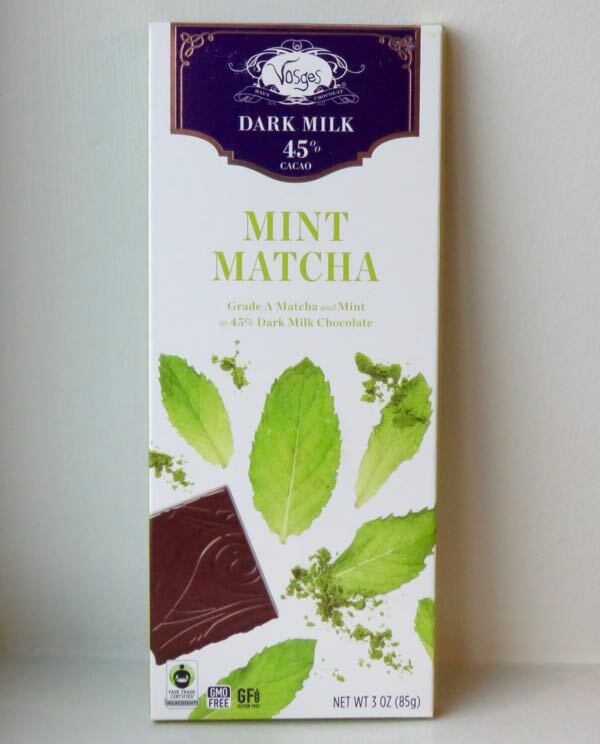 Today's Dark Milk 45% Cacao Mint Matcha bar was from Vosges IP, LLC (Chicago, IL). This "Grade A Matcha and Mint in 45% cacao Dark Milk Chocolate" bar was creamy in taste and texture, and the mint was well balanced with the added green tea/matcha flavor in this bar. 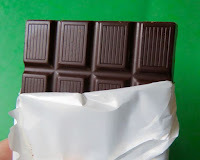 Tasting notes for this gluten-free bar: "caramel notes (in) dark milk chocolate...Aromas of bamboo and grass linger on the palette from the addition of...green tea." 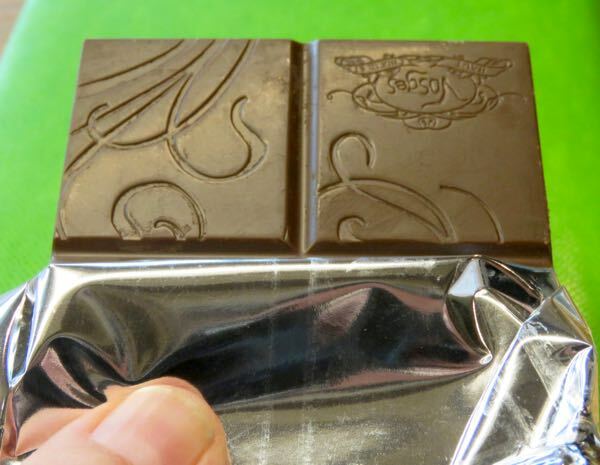 The chocolate bar was made with 82% fair trade ingredients.